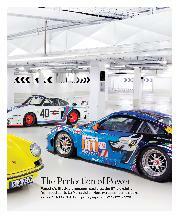 You've read Vic Elford's account of the 911's pioneering years in competition. Here, a colourful new chapter began, one suitably `gonzo' for the lairy, hairy 1970s. 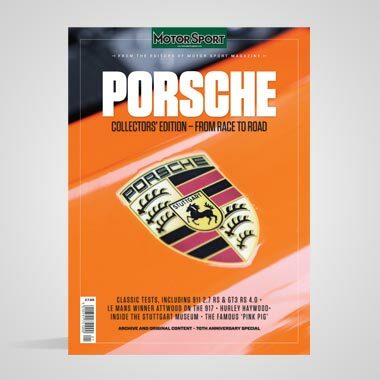 First, there's that name and those initials: the tug of the forelock to Mexico's long-gone edge-of-reason Panamericana road race, and the allusion to the German religion that is Rennsport — Porsche's intentions, and those of its new chairman Ernst Fuhrmann, were clear. 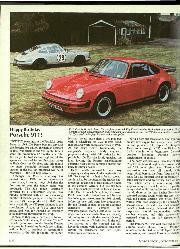 As the covers were thrown off at the Paris Salon in October 1972, the symbiosis between road and track was complete. The Carrera graphics along the door sills, the flash of primary colour and that cute little ducktail... the 911, already nearing its 10th birthday, had moved into another realm. In its long life, would it ever get better than this? Weighing in at 1075 kilos, this was a flyweight with a heavy punch. Nothing was spared, from its thin skin to the stripped-out and stark black interior. 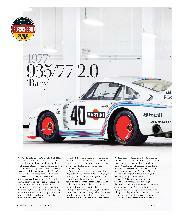 Inevitably, it was an instant hit, the required racing homologation number of 500 units selling out fast. Three times that number would be built, going for 34,000DM a pop. At Amelia Island this March, Gooding and Co sold one for $550,000. On track and stage, the original S, ST and R had kicked the doors open, with a little help from the likes of Elford, Bjorn Waldegard and Gerard Larrousse (the latter had scored a famous third place on the 1970 Tour de France behind two Matra prototypes, his colourful ST weighing in at a record low of 789 kilos). Now, with the newly obsolete 917 already departed to bully Can-Am into submission, the stage was clear for the RS's bigger sister to step up. 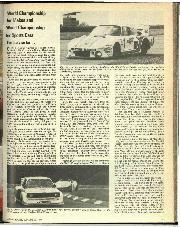 The 2.8 RSR conquered Daytona on its 1973 debut in the hands of Hurley Haywood and Peter Gregg. 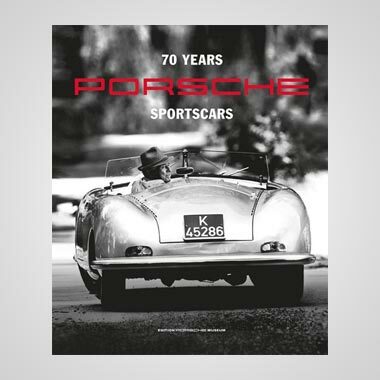 More victories would follow at Sebring and the Targa Florio, Porsche's 11th in Sicily and a Martini-flavoured coda to the great race's World Championship history. Now what? The 917 in Can-Am trim offered inspiration. The 911 took a deep gulp (of hot exhaust gas), lifted its rearward lid — and accepted its first turbo. 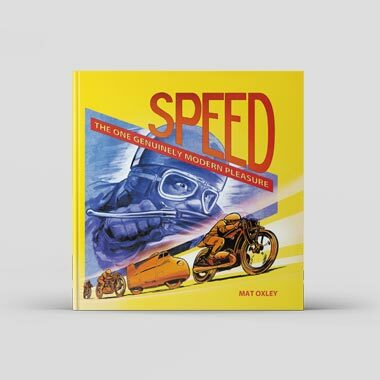 A 40-year series of flamboyant road cars would follow this extreme racer. Head-on, it looks relatively normal for a 911. Then you step around the back. Its squat posterior has a girth of two metres to contain the 917 rear wheels, and that whale-tail is slung way out back — all somehow to contain 4351b of torque and the best part of 500hp, within a package weighing only 820kg at its maximum. To meet the 3-litre limits of Group 5 rules, capacity was capped to 2142cc, which with forced induction equated to 2999cc. 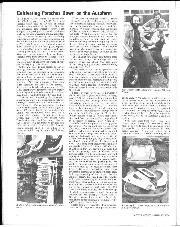 The familiar flat-six was fed by Bosch fuel injectors and a large, single exhaust-driven Eberspacher/KKK turbo. All hung out over that rear axle. Gonzo. Somehow it worked. The 2.1 Carrera RSR Turbo finished second at Le Mans in 1974 in the hands of Herbert Muller and Gijs van Lennep, making it to four o'clock six laps down on the winning Matra prototype, despite losing fifth gear on Sunday morning. Porsche finished third in the World Championship of Makes that year, but Matra and Alfa Romeo had stuck with pure competition thoroughbreds. They'd been in a different race, but there was more to come. Sure, the racing 911 was looking less like a road car, but Porsche had only just begun to stretch the concept's limits. Just look what lay around the corner. However far it stretched the concept of production-based racing cars, the 935 will forever be loved as one of the greatest sports cars in motor sport history — even if it didn't exactly face the stiffest of competition during the second half of the 1970s. As for its relation to the 911, Porsche did what any competitive team should do: it pushed the flexible Group 5 rules right up to their limits. 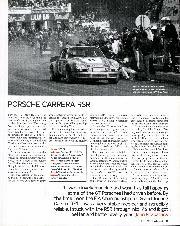 The 934 that ran in the more restrictive (ie saner) Group 4 dominated its class with a chassis and aerodynamics born from the road. But Group 5 had more grey areas than McLaren's HQ. Those front wings are obvious examples. 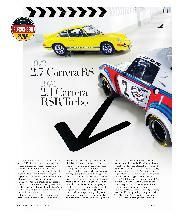 Originally, the 935 featured standard 'upright' headlights, in traditional 911 style. But with these rules Norbert Singer argued that they could be flattened into a more slippery shape. In this instance, as with the turbo, the track became a breeding ground for the road. By 1977, the superstar pairing of Jacky Ickx and Jochen Mass had already helped claim one World Championship of Makes for Porsche. Now they did it again with wins at Silverstone, Watkins Glen (by three laps, despite losing 10 minutes with a suspension problem) and Brands Hatch. At standalone Le Mans, Porsche's Group 6 prototype 936 eclipsed the rest for a second year in succession, carrying Ickx to his fourth win at La Sarthe. But for the Weissach race department that still wasn't enough. Enter the pretty 'baby' pictured here. Germany's DRM series, the forerunner to today's DTM, was split into two engine divisions, up to and over two litres. The smaller class, populated by BMWs and Fords, had a strong following among the fans, plus they were taking valuable points from Porsche's customers in the top category. Here was a call to arms. The 2857cc twin turbo duly shrank to just 1425cc, on the cusp of the 2-litre limit once the turbo's induction had been factored in. The little motor still pumped out 380hp, while more weight was stripped from the 'standard' 935/77's shell — so much in fact that 25kg of lead ballast had to be added to reach the minimum 750 kilos needed on the scales. The car only raced twice. Ickx was forced to retire 935/2-001 first time out at the Norisring with electrical gremlins, but in the German GP support race at Hockenheim he trounced the field by a whopping 52 seconds. Valuable points scored (and taken from Ford and BMW), and in addition, one large point made. 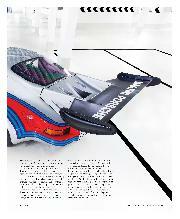 The car was promptly retired to the Porsche Museum, where we found it for our photo shoot. In the hangover of the wonderful 10-year party that was Group C, Porsche once again turned to the 911 as a renewed focus on GT racing kept sports car competition afloat in the mid-1990s. 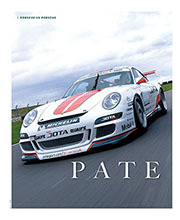 Without the good old 911, the new series created by Porsche legend Jurgen Barth, Patrick Peter and Stephane Ratel almost 20 years ago would have been a non-starter. The BPR, as it was known, begat the FIA GT Championship and ultimately the booming worldwide Gran Turismo scene we enjoy today. The 911s are so ubiquitous and numerous it's sometimes easy to take them for granted. Along with national one-make Cups and the international Supercup, they bolster grid sizes from Le Mans to Daytona and everywhere in between — but they continue to win, too. As recently as 2003, a 911 GT3 RS won the Daytona 24 Hours — fittingly, exactly 30 years since Haywood and Gregg's pivotal victory in the original RSR. The Racer's Group entry took the flag by nine laps after leading cars in the new prototype class had fallen away. In the GT category at Le Mans, Porsche's customer teams have been overshadowed by Chevrolet, Ferrari, Aston Martin, Chrysler and even BMW in the past 10 years, but that trademark reliability has still allowed 911s to feature where it counts most, when it matters most. Felbermayr's best-of-the-GTs 11th overall in 2010 is the most recent example. 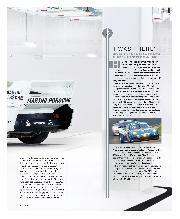 Then there's the Niirburgring 24 Hours, the GT enduro that counts for so much in Porsche's home nation. Five victories in six years between 2006-11, against the biggest and most diverse fields in the world, have given Porsche serious bragging rights over its 'noisy neighbours' from Mercedes, BMW and Audi. The two examples pictured here from the museum represent the importance of American customer teams to the recent story of the racing 911. The white car is a 2004-spec 996 GT3 RSR, which claimed Alex Job Racing's 50th American Le Mans Series class victory in Houston's 2006 street race. 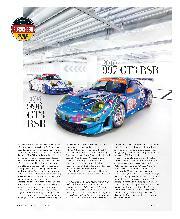 The garish (mainly) blue car is Flying Lizard's 997 GT3 RSR, which ran in the amateur class at Le Mans in 2011. Among its swirls and clashing colours are the names and national flags of every driver to have scored overall wins at Le Mans for Porsche. The weight of history is never far away when you're running a 911 in the greatest race of them all. Le Mans just wouldn't be Le Mans without them. 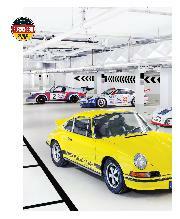 World Championship for Makes and World Championship for Sports Cars The story so far . . .